While some trucking companies talk about their service, at Venture Logistics we deliver our service every day with every truckload. Every transportation, warehouse and logistics challenge is tackled by a team of professionals – each one dedicated to going the extra mile for our customers’ satisfaction. Our solution-based philosophy goes on 24 hours a day/7 days a week with your team always available – whenever you need them. Venture Logistics’ services include both full load and partial shipments literally anywhere in North America; including extensive experience to and from Canada and Mexico. 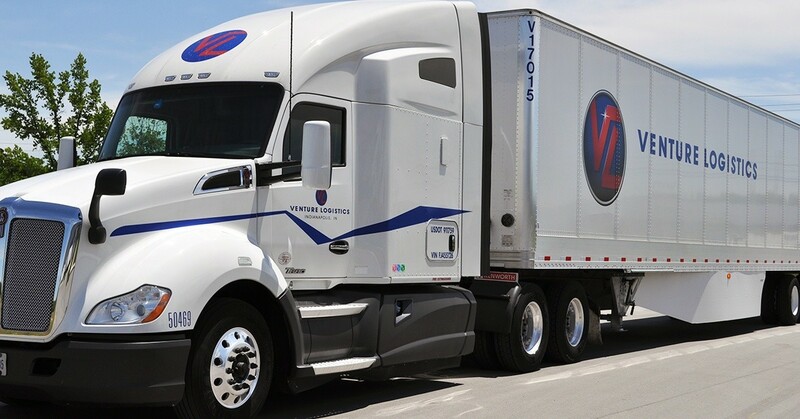 Venture Logistics is an independently owned, ISO Certified Transportation Company in operation since 1993. CEO Doug Williams has over 25 years of transportation industry leadership and operational expertise. In addition, each member of our executive management team brings over 25 years experience in the transportation industry as well. Our senior dispatchers have industry expertise of over 10 years and are dedicated to our customers on time delivery along with a staff to support these efforts for success. Venture Logistics maintains terminal locations throughout the United States. Our corporate headquarters are in Indianapolis, IN, with additional locations in Lafayette, IN, Chicago, IL, Spartanburg, SC, Nashville, TN and Laredo, TX. Backed by the most modern transportation and logistics technology, Venture Logistics is devoted to providing exceptional service, prompt attention and accurate information to truckload shippers with each and every individual transit need. Venture Logistics, Inc. was awarded ISO 9001/2008 QMS registration in accordance with our ongoing commitment to maintaining the highest industry standards in quality and service.